There’s non-stop talk these days about how businesses are using technology to stay connected and competitive in their target markets. 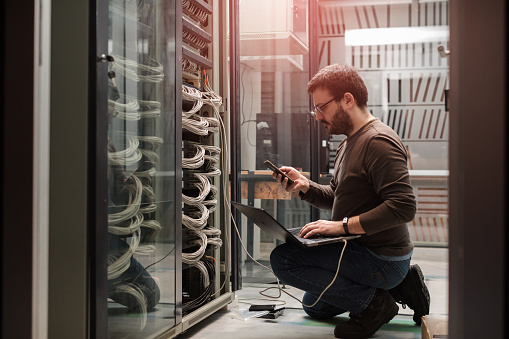 Whether its improving your company infrastructure to streamline businesses processes or investing in new ways to remain connected with your market, technology is making it easier than ever for businesses to stay available and profitable. But what are the best ways for business professionals to create a successfully connected organization? More and more, consumers in all industries are looking to technology for its convenience and efficiency. As a result, consumers are beginning to expect more from companies. Customers are simply more loyal to convenience than they are to any particular enterprise offering goods or services. Consumers want the best deal, in the most efficient way – plain and simple. The reality is, in order to be successful in this kind of changing commerce landscape, consumer-facing business organizations must provide the most meaningful, valuable, timely, and personalized experience for every customer they serve. In order to do this, businesses need strategies for developing strong and personalized customer relationships. A huge part of this is all about looking to new technologies and ‘always-on’ solutions that provide unprecedented connection and access for your target market. When businesses implement solutions that allow constant connection with consumers, they go a long way in terms of building loyalty and maintaining a competitive edge in crowded marketplaces. Read on to learn how your organization can successfully maintain a consumer-centered connection. 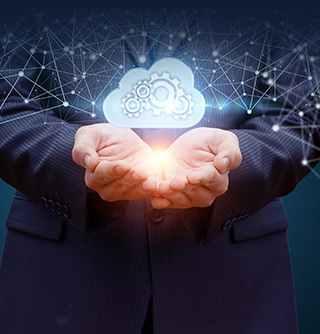 A connected enterprise is best defined as an organization that is using technology strategically at all possible endpoints. In order to maintain a successful connected enterprise, companies need to be taking advantage of all the different ways that new and innovative technologies can help you optimize customer relationships and build consumer loyalty in a fast-paced and competitive market. As mentioned, in today’s business landscape, the consumer is king. If a customer doesn’t receive the convenient and personalized full-service experience they’ve come to expect, it’s easier than ever for them to walk away and find that experience elsewhere. So, the reality is, your consumers call the shots in terms of how they want to interact and engage with your organization. In order to optimize consumer engagement and interaction, organizations must understand their customer comprehensively and consistently at any point in time. Simply put, developing a single customer view, across all engagement endpoints, is the only way to collect the actionable insights you need to build consumer retention and loyalty. If your organization is going to commit itself to building more dynamic consumer connection, collecting the relevant data on consumer activity and preferences is a critical first step. This includes analyzing business functions and building the right connections by extracting and mobilizing the most useful and strategic data – including both online and offline insights. In order to develop a thorough view of every customer experience, front-to-back office integration is the critical next step. This means, your company’s front office must be well organized to track and analyze customer journeys. Furthermore, front office must connect with back office in order to gain actionable insights on consumer preferences and inclinations. Front & back office integration is all about knowing what the customer wants, when they want it, and knowing how to deliver it in a holistic way that the customer expects. In order to develop this strategic front-back office integration, an integrated technology stack is imperative for companies seeking to better deploy actionable consumer insights. SAP and ERP software solutions can go a long way in terms of streamlining your company’s approach to providing and end-to-end customer experience. A huge part of technological innovation in the business space is focused on machine learning and IoT technologies. More and more business leaders have come to understand that implementing IoT technologies and machine learning strategies can help them make predictions that will optimize the consumer experience they provide. By combining machine learning and IoT insights with data extracted from other business applications, organizations can strategically build a fully comprehensive consumer view which allows business teams to tailor experiences to better meet client expectations and needs. The next strategy for developing a successful consumer-connected enterprise is all about understanding supply and demand insights. A comprehensive and unified overview of supply and demand insights will enable your organization to better understand, analyze, manage and respond to inconsistencies in your supply chain. In order to achieve this comprehensive overview, businesses must implement real-time planning and analysis solutions for their supply chains. This will help business leaders take advantage of useful analytics, actionable insights, what-if simulations and strategic alert and monitoring tools. Furthermore, and most importantly, this will help business leaders stay continually responsive to constantly evolving consumer expectations so that no customer is left wanting more. Much of today’s consumer activity takes place before any human interaction even occurs. As a result, strategic businesses are looking to migrate their divided CRM systems from sales in order to make better use of data and keep consumers engaged more dynamically across a longer trajectory. As a result, successful businesses in the digital economy must focus their efforts on the customer service experience they deliver in order to ensure that customers are catered to holistically, continually, and with a top-to-bottom, end-to-end approach. A unified Cloud solution is a huge part of providing this experience consistently. With a unified Cloud suite, businesses can better monitor and manage customer experiences using an integrated and centralized data model. This will allow your company to deliver consumer-centric processes and better service outcomes. The only logical result is strengthened customer trust and loyalty, which translates into profit and growth for your organization. The fact of the matter business growth will only become more and more impacted by the consumer-driven technological revolution. Additionally, businesses who want to remain profitable will be forced to adapt and implement innovations to maintain competitive connection. However, we understand clearly that business professionals are busy enough as it is without having to worry about developing a comprehensive and innovative consumer-connected enterprise. That’s why, we suggest that professionals reach out to professional IT consultants for guidance and support when trying to optimize consumer connection. Reach out to a strategic IT provider who has experience optimizing connection in the business space. By partnering with a professionally experienced consultant, your organization will not only be positioning itself for successful connection, you’ll also have a consultative support in your corner for continued growth and evolution. Technology will continue to revolutionize the business space – make sure your organization is positioned to keep up.